As a child, I would sit enraptured with the rhythm and rhyme of Dr. Seuss. The way the words rollicked about inducing fits of giggles and tied-up tongues was the beginning of my love of poetry. When I entered school, however, I nearly lost that joy. There was so much analysis and dissecting that Shakespeare almost lost his polish. Every single poem we came across had a “meaning” that the teacher would pound into our heads while pounding the poetry out of our souls. It was a positively pernicious poetry unit study. Thankfully, I kept reading it anyway. From The Lady of Shalott (Thank you to Anne with an “E” for the introduction to Tennyson) to Shakespeare, to Silverstein, I never completely got over my love of verse. Disclosure: I received Linguistic Development through Poetry Memorization for review purposes. All opinions are my own and I was not required to post a positive review. Knowing that I wanted my boys to also enjoy the delights of poetry led me to an incredible classical poetry curriculum program from IEW and that program led me to do some more research on why exactly poetry is so fantastic for the minds of our children. Here’s what I found! It’s the patterns, rhythms, and sequences involved in poetry that helps a child memorize a poem. As she practices memorizing a poem, her mind links her memory to the sounds and the visual set up of the poem. This turns into a skill that pours out into all areas of education, including learning new languages and even in mathematics. Memorizing words and their meanings is made lightyears easier through poetry. Those unfamiliar words have a place in the sea of words, giving it context and thus making it easier to remember. The vocabulary word moves off the long list of empty and seemingly meaningless words for a test, and moves into a comprehensible place where your child can use it in real life. Poems are typically fairly short texts, making them more manageable for the struggling reader. Longer passages can be overwhelming to the struggling or learning reader. Poetry can ease them into reading comprehension. As your child becomes more comfortable with poetry, he might not be quite as afraid to tackle something longer. On top of that, the rhythm and rhyming patterns can help your student to predict the next words or phrases. Poetry allows for creative expression. Just like music and art allows us to express ourselves in unique ways, poetry gives your child that very same opportunity. There’s freedom in writing poetry. There’s emotion in writing poetry. It’s an expression of the heart. It’s also challenging, urging your little writer to think outside the box and reach places in her creative mind she may have never tapped otherwise. Poetry motivates the reluctant writer. Whatever the reason is for your child’s reluctance to write, the freedom that poetry offers may be just the thing. Not only does it allow for personal expression, but it also helps calm the overwhelm by the shorter length. Even if it’s just the fun of finding rhyming words that motivates your reluctant writer, he is writing poetry, no less. And that’s a wonderful thing! 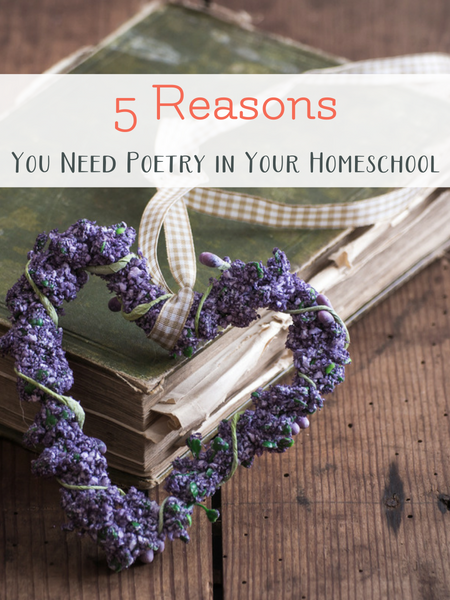 All five of these reasons make a homeschooling parent happy, which translates into more poetry in your homeschool. Meanwhile, your unsuspecting student is benefitting from all of these things while simply learning to love the beautiful art of poetry. Linguistic Development through Poetry Memorization is a fantastic program from IEW. Through it, Mr. T has been able to memorize longer and longer verses in spite of his dyslexia. His rhyming abilities have improved and recitation also helps us combat Apraxia. 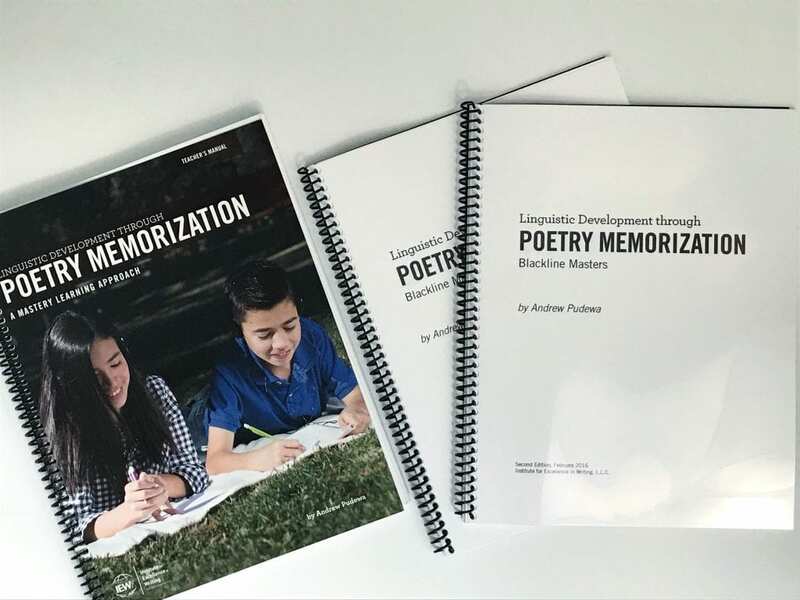 Linguistic Development through Poetry Memorization provides a system to reintroduce you and your students to a vital but often neglected source of powerful and sophisticated linguistic patterning available to children: memorized language, especially memorized poetry. This teaching tool includes a book with ninety-six poems and speeches as well as all the poems and speeches read on CD (also comes with MP3 downloads) for ease of memorization. Instructions, memory charts, certificates, and poet biographies are included, as well as a complementary Student Book as an e-book download. You will also receive a bonus DVD of Andrew Pudewa’s conference talk Nurturing Competent Communicators. 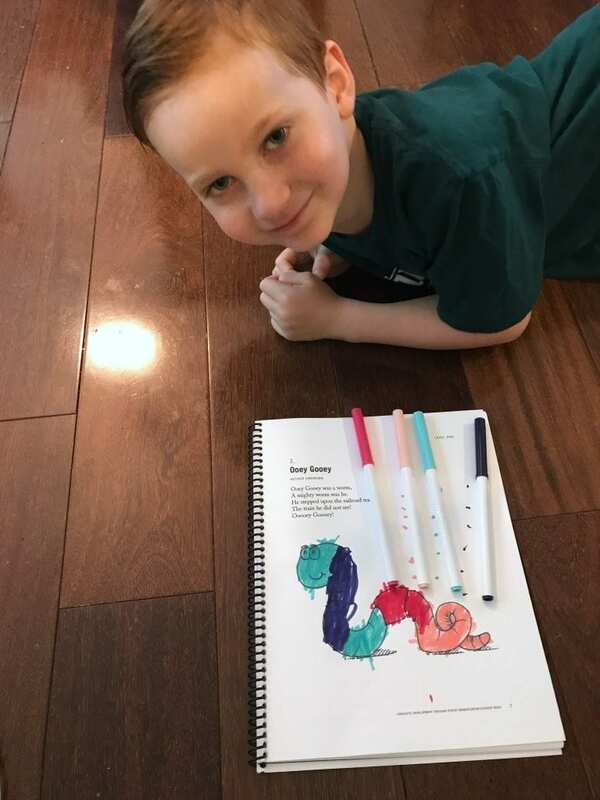 Guys, you get a fountain of knowledge, great poems, and a fun system to teach your children delightful poetry all the way through your homeschooling journey. That’s right! K-12th can utilize this wonderful curriculum. If you haven’t considered the virtues of adding poetry study into your homeschool, I do hope you will now! Poetry for homeschool is a beautiful thing. My kids lucked out with their teachers and learned to love poetry early on. My oldest daughter even asked for a Shel Silverstein poetry book when she was younger. I think poetry definitely helps kids express themselves. It is a definite help in learning how to express emotions well. Thanks for stopping by! Great points I had never thought of before! School takes the joy out of learning in general anymore 🙁 For most people, starting with A Midsummer Night’s Dream is the best way to get into Shakespeare gently. Thanks for stopping by! This is wonderful! I never really thought about WHY we each poetry but I can see each of these points quite clearly. Pinned.